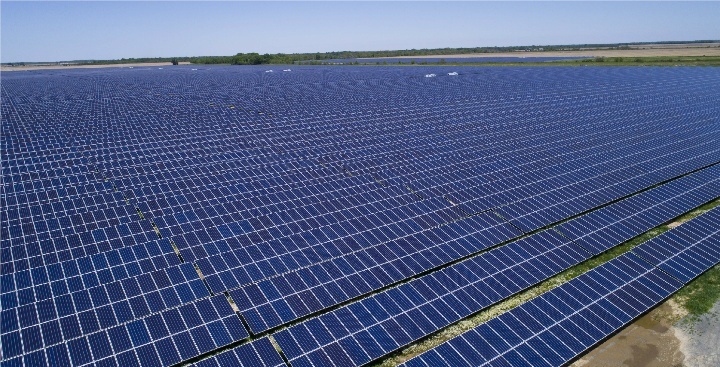 The more than 2,500 utility-scale solar photovoltaic electricity generating facilities in the United States represent 2.5% of utility-scale electric generating capacity and account for 1.7% of electricity generation annually, based on data through November 2018 from the U.S. Energy Information Administration. A utility-scale generating facility is one that can produce at least 1 megawatt of electricity. Most utility-scale solar power plants have a generating capacity of 5 megawatts or less, and North Carolina has more than any other state, with 433 utility-scale plants that have capacities up to 5 megawatts. North Carolina has nearly one-quarter of all utility-scale solar plants, between 1 megawatt and 5 megawatts, and they account for 1,803 megawatts of capacity, or 35% of the total U.S. solar capacity at facilities with 1 megawatt to 5 megawatts of installed capacity. Growth in small utility-scale facilities has been driven by several factors, including state-level policies and practices. In North Carolina, the Public Utilities Regulatory Policies Act of 1978 allowed utilities to set long-term purchase agreements with solar plants and enabled solar developers to receive funding more easily, spurring growth. In other states, the growth has been encouraged by strategies such as community solar facilities. These facilities sell shares of capacity to customers who might not have access to solar generation. Customers receive monthly credits on their electric bills for the energy generated by the shares of capacity they purchased. The average community solar facility has a capacity of 2 megawatts. The majority of the 216 solar facilities that are expected to be added by the end of 2020 will have capacities of 5 megawatts or less, according to the EIA. Small-scale solar capacity accounted for about 40% of total solar capacity connected to the grid as of November 2018.